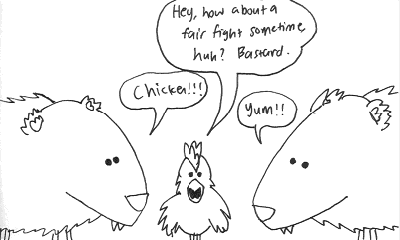 So syn plugged and generally said nice things about the Chickens on her blog “I Love Ratties”. Yay! Thank you. Here is a comic with ratties.